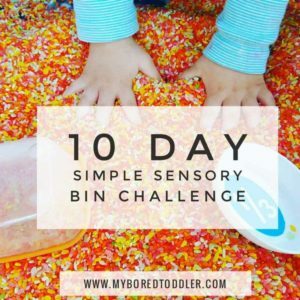 If you’ve never made a sensory bag before, you’ll love them! 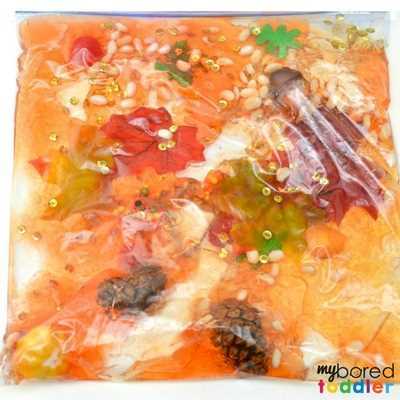 They’re perfect for babies and younger toddlers, or those occasions where you really don’t want them to get too messy! 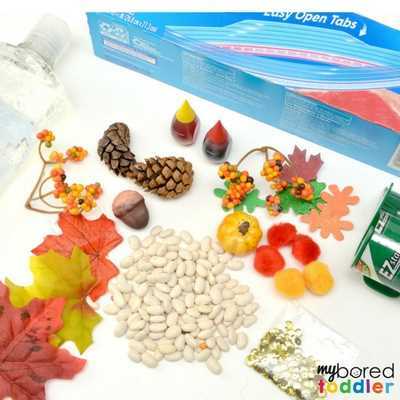 I made this toddler Fall sensory bag for a group of 6-18 month olds and it was perfect for this age group. I’ve added an I-spy sheet to it as well so that you can easily adapt it for an older age group. 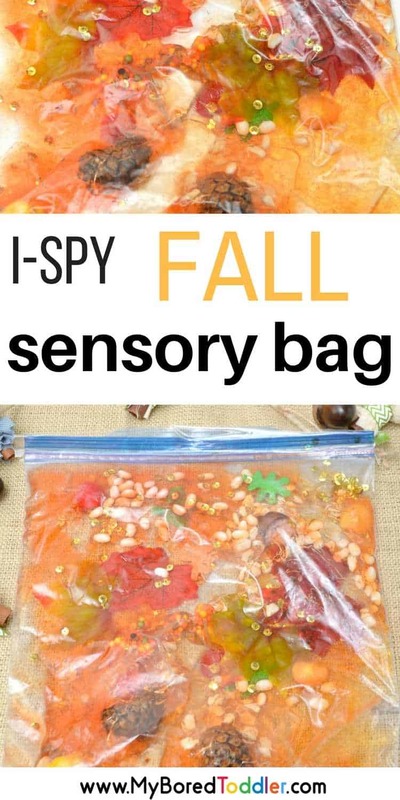 We’ve been loving all of our Fall sensory play activities that we’ve been working though this season and this bag is a nice one for those days when you want to be a little bit quieter and a lot less messy! Don’t get too stressed about buying everyone on this list – you can easily adapt this to work with anything Fall colored and themed that you have at home already. The best place to get most of these is DollarTree. 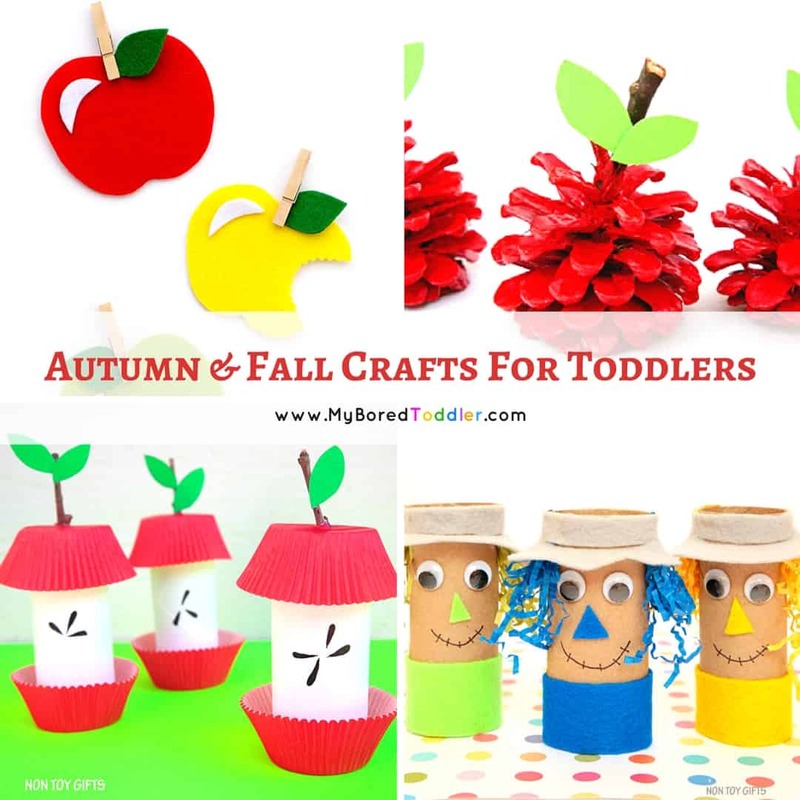 Acorns – if you can’t get real ones you can get craft ones here. Printable I-Spy sheet (if needed) – you can print that HERE. 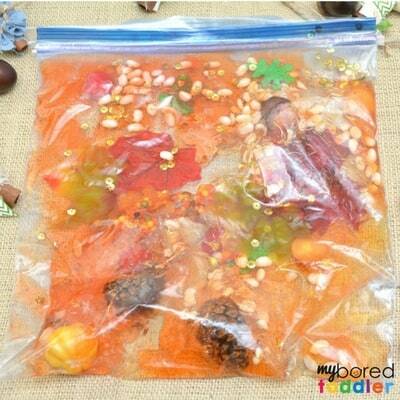 Fill up the ziploc bag with clear hair gel. 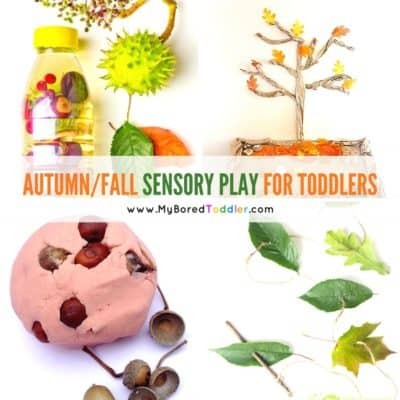 Add in your mix of Fall themed items. 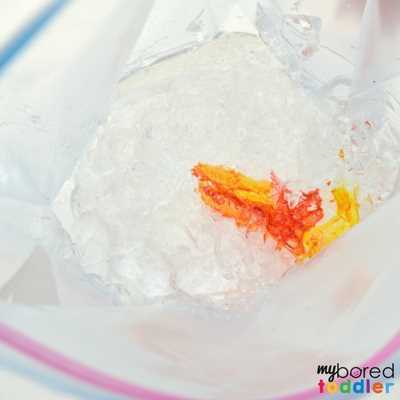 Tape the bag really well shut because, well, toddlers!! Packing tape is the best way to do this – regular sticky tape can come undone much easier. 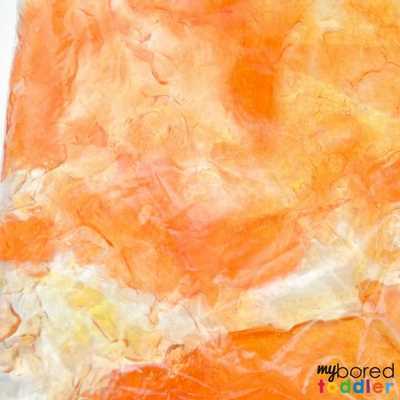 Let your toddler play with or without the I-Spy sheet.